Since 1999 and indeed, ever since the city became a UNESCO World Heritage Site in 1998, Sports Loisirs Tourisme en Régions de France or S.L.T.R.F, a local association run by a group of proud and passionate Lyon citizens, set about promoting and developing local tourism, culture and tradition as well as the city’s architectural and historic heritage. 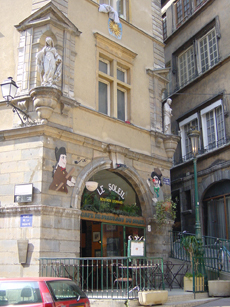 An original and unique way of discovering the city on foot through a treasure-hunt type tour with all the treats and tastings ‘à la Lyonnais’ you can manage on your way. 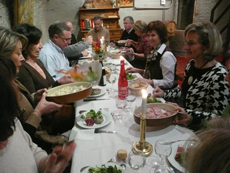 The tastings are the perfect opportunity to discover Lyon’s culinary traditions, expertise and art of entertaining. TRANCITANA is in a great position to promote the city and its events and actors including local authorities, institutional players, hotels, restaurants and other organizations. TRANCITANA is an important link in the tourism chain, offering a warm welcome as it promotes the city.